I guess this would be due to a slow camera but I thought this picture was pretty neat. She’s moving so fast after lighting the firework that she has become a blur. Supplies used: CTMH Let’s Get Together paper and cardstock (Colonial White, Cranberry, and Buttercup), other embellishments unknown. I used cranberry ink on the grungeboard elements. 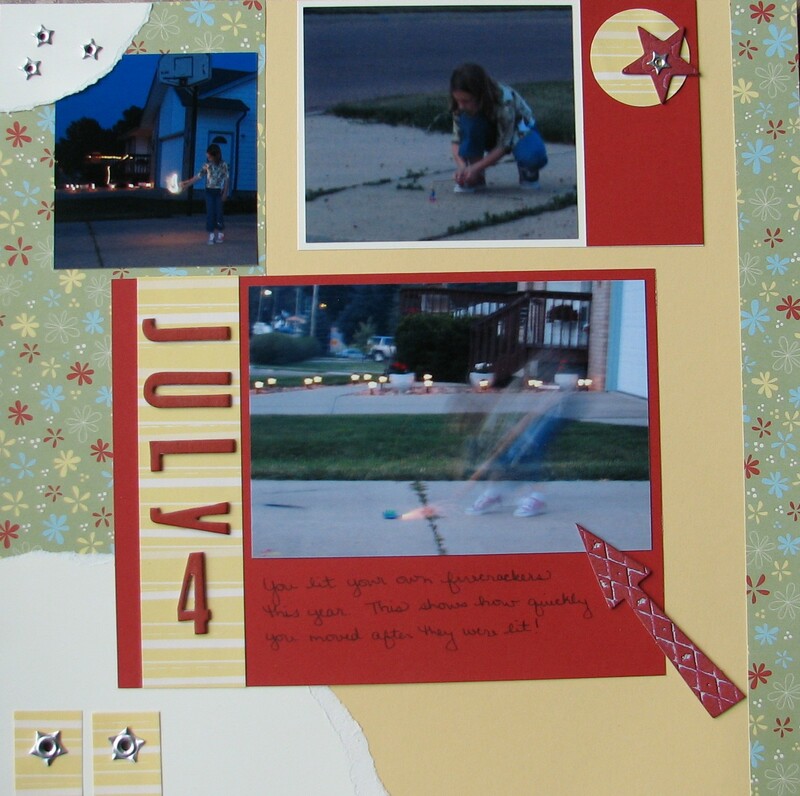 Layout inspired by Imagine idea book by CTMH.